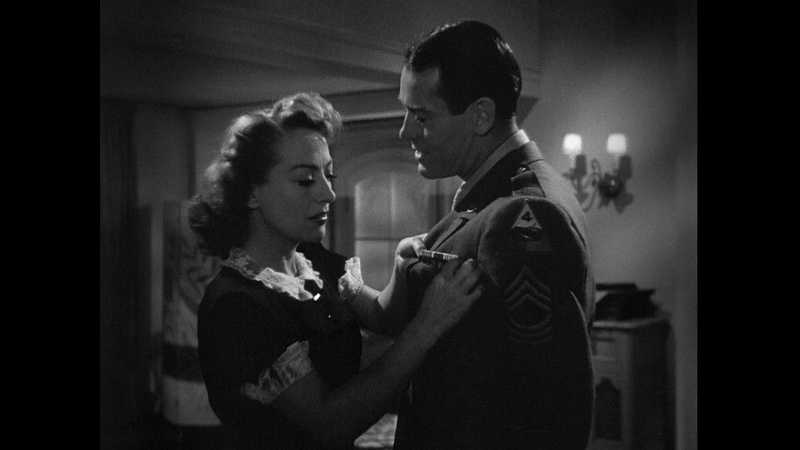 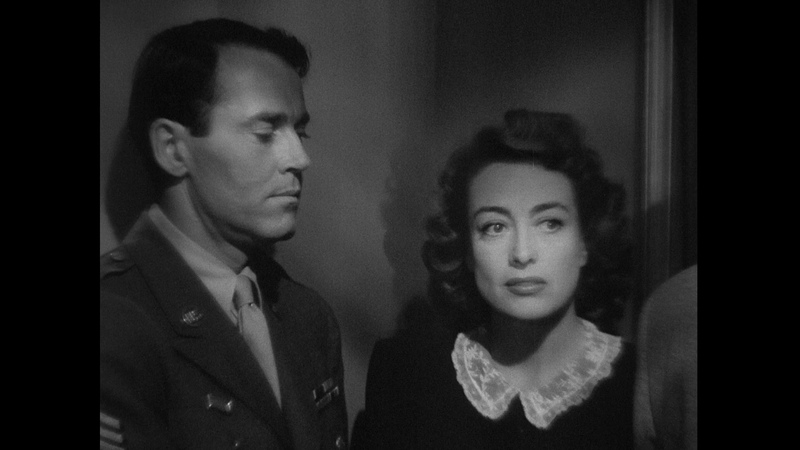 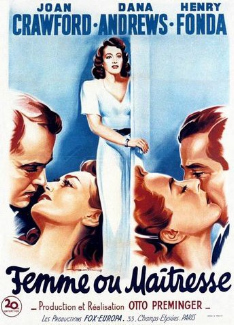 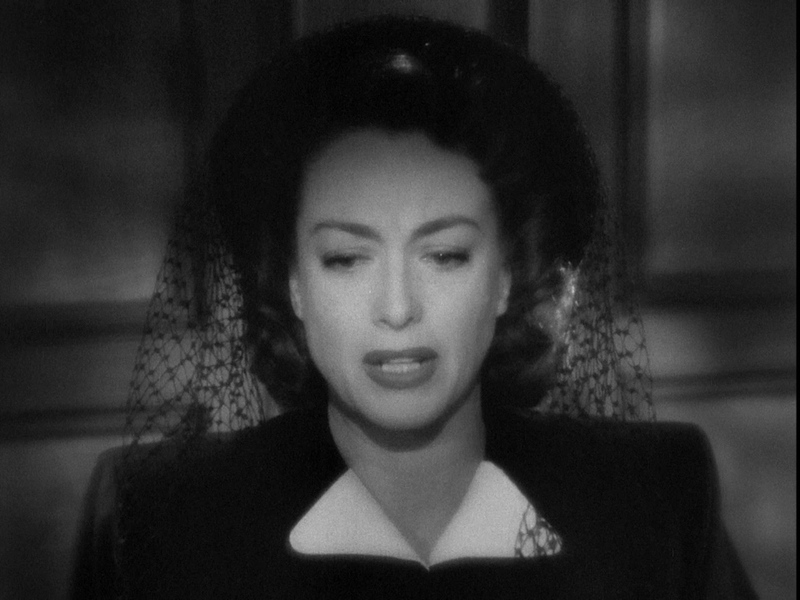 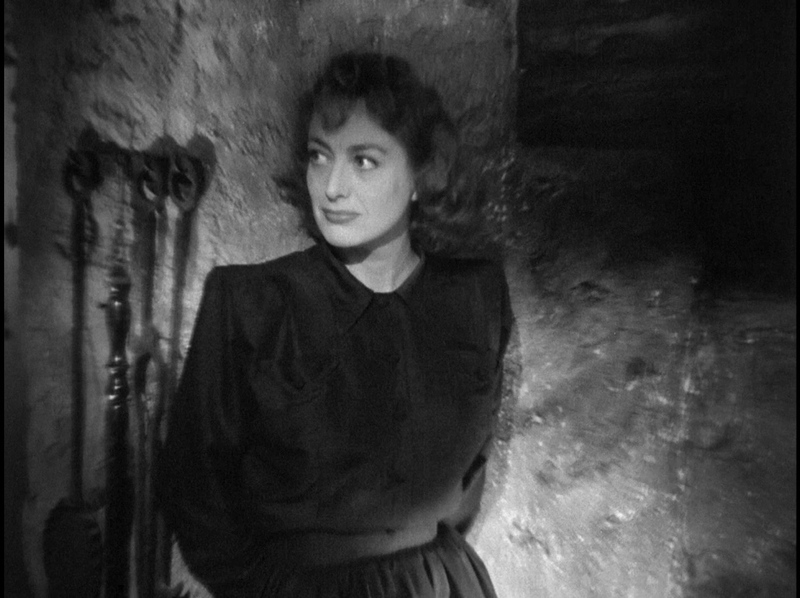 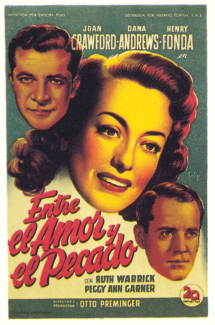 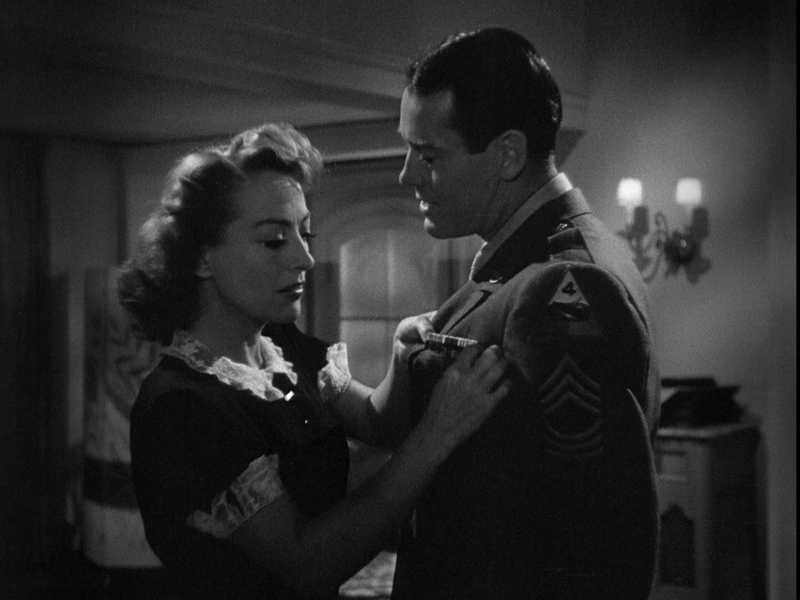 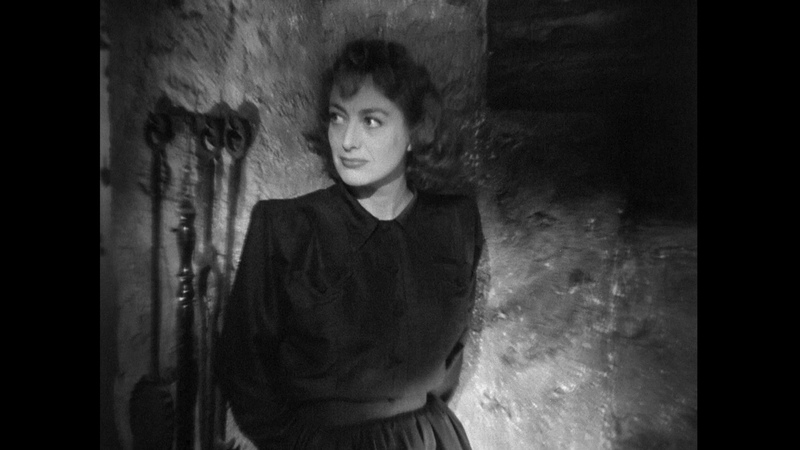 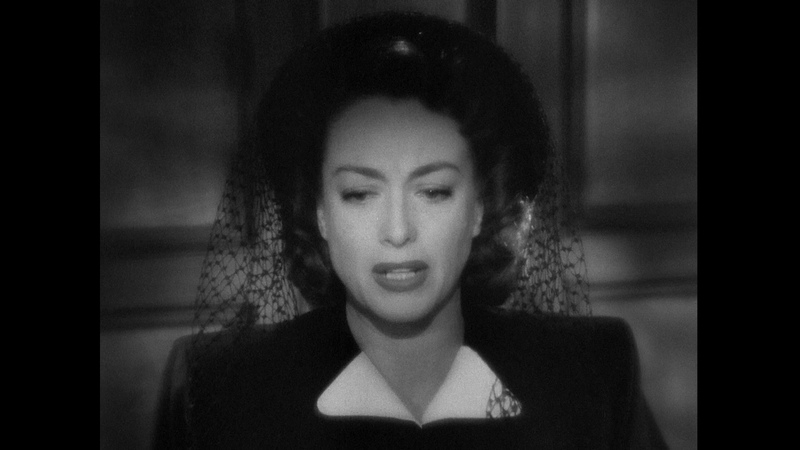 A high-40s women's picture, with Joan Crawford as a fashion designer torn between two lovers--calculating Dana Andrews and wholesome Henry Fonda (1947). 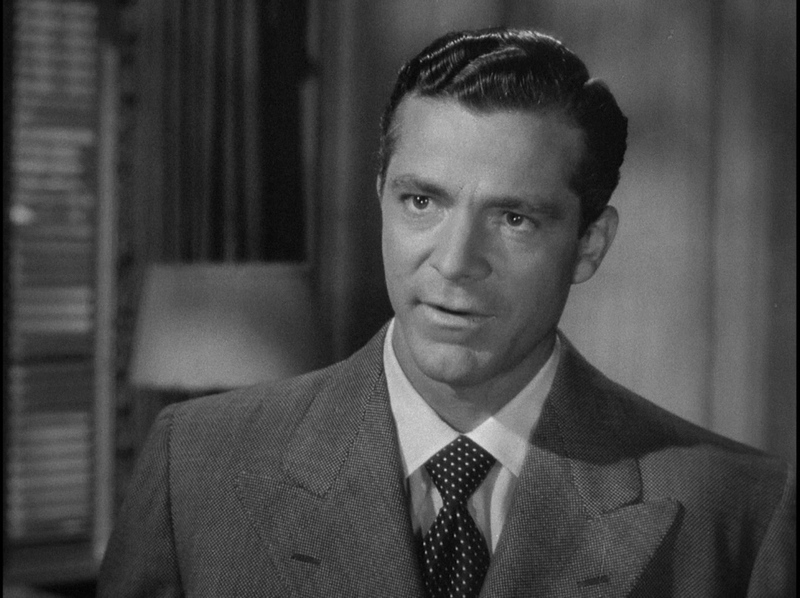 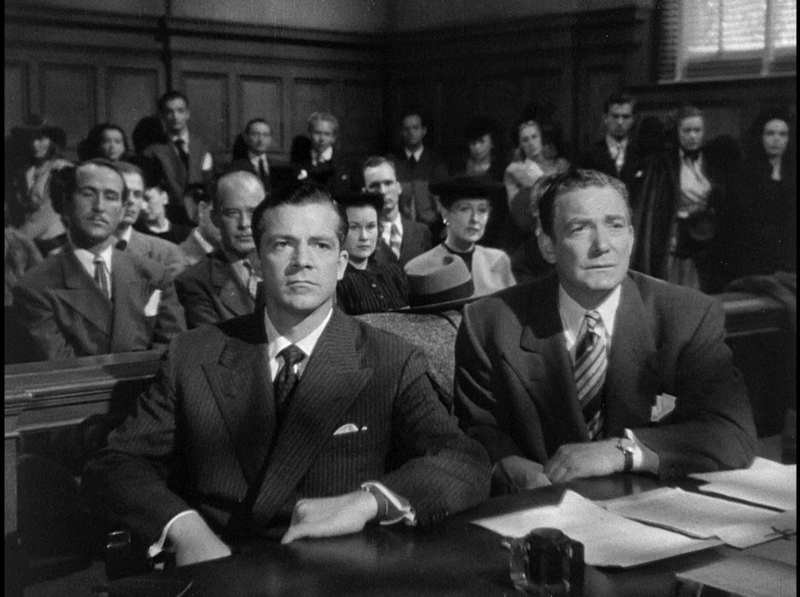 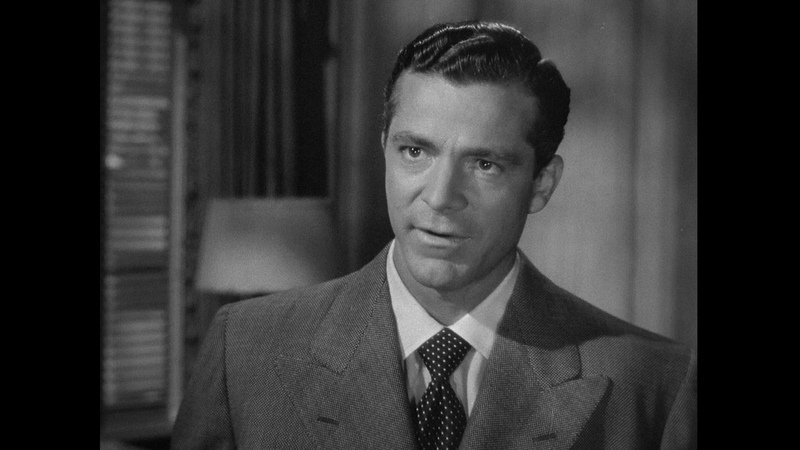 Otto Preminger, the slightly miscast director, sets the choice up like a murder trial, carefully balancing the arguments on both sides. 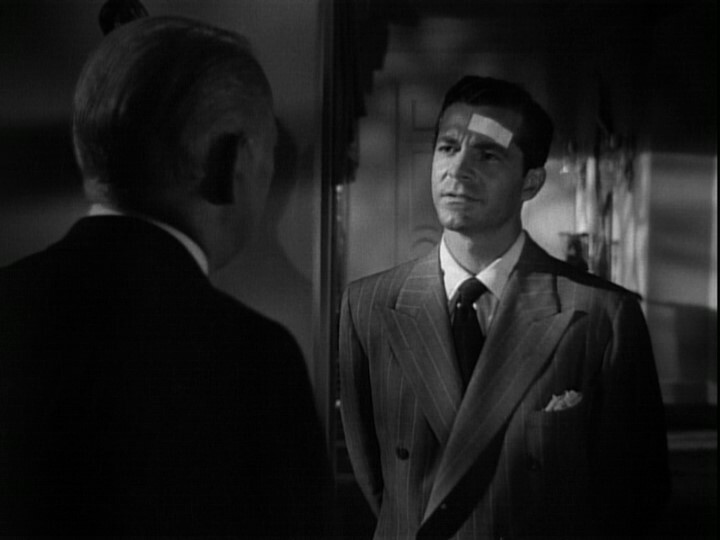 His sober approach and his fluid camera style do much to redeem the material, for which he has no apparent sympathy. 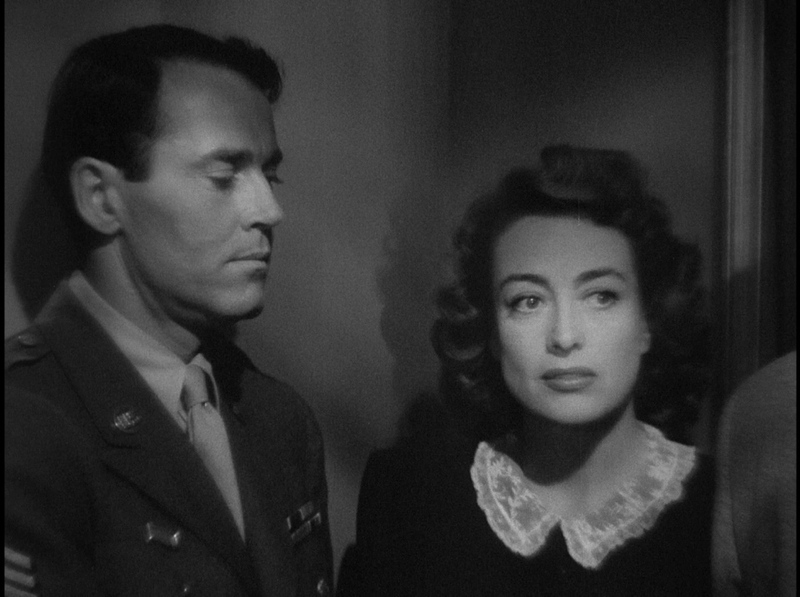 It's a Preminger film purely by accident, but it is a fine example of studio craft. 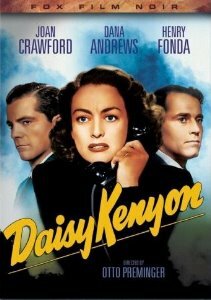 ADDITION: Kino Lorber - Region 'A' - Blu-ray December 16': Kino's 2016 Blu-ray transfer seems to accentuate Daisy Kenyon's unusual appearance. 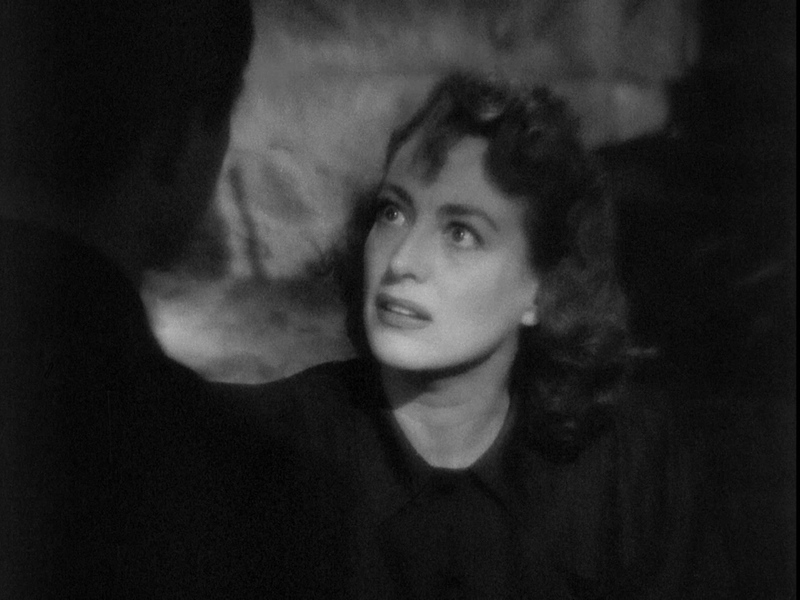 Even on the DVD some shots were so soft they almost looked like dream-sequences. I still don't know if this is an intentional look or some warping. 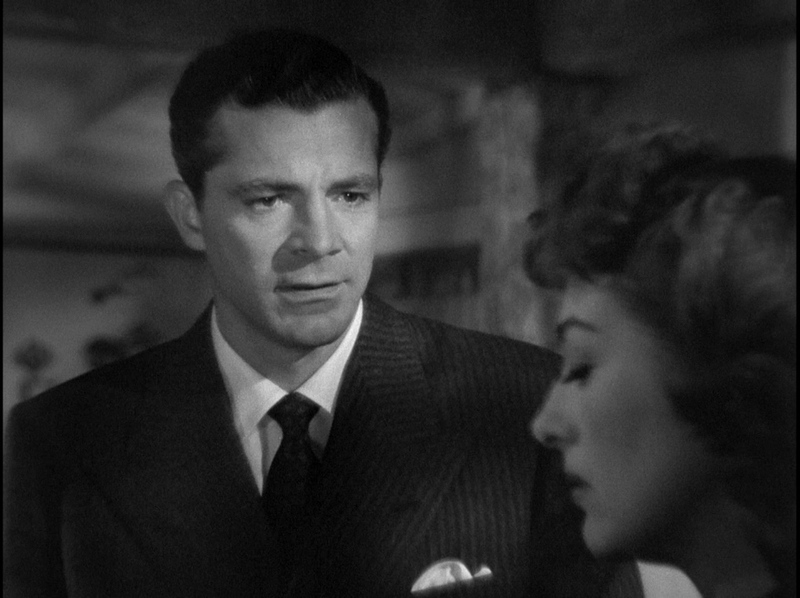 Regardless, the 1080P seems to have transferred some of the noise from the SD making it look more like thick, grain. 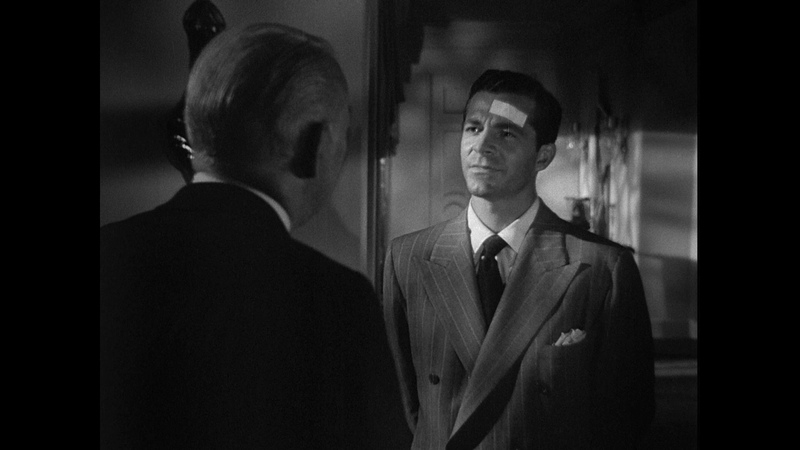 The film's visuals are inconsistent - sometimes looking sharper and other times muddy. 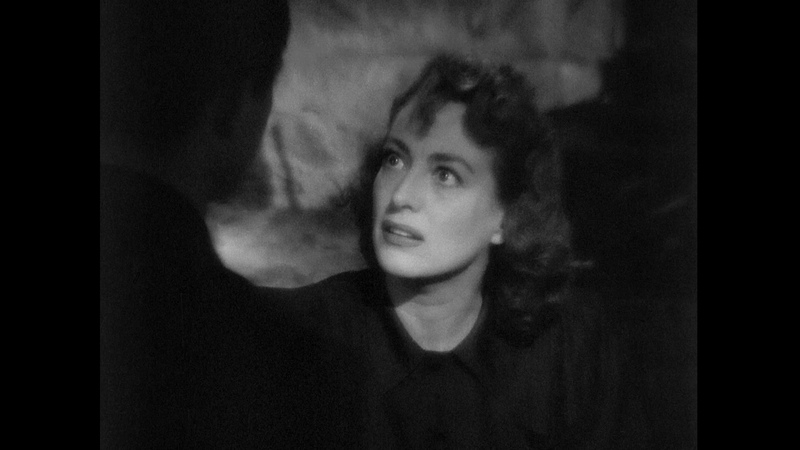 I don't think it's the best film for HD but saying that the image quality is improved over SD. 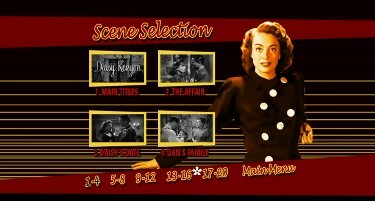 Kino again go DTS-HD Master (16-bit.) 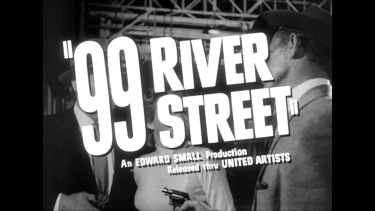 The film has few effects but again we get another wonderful score from David Raksin's (Whirlpool, Fallen Angel, Laura, Bigger Than Life, The Big Combo) sounding clean and pleasing in the lossless. 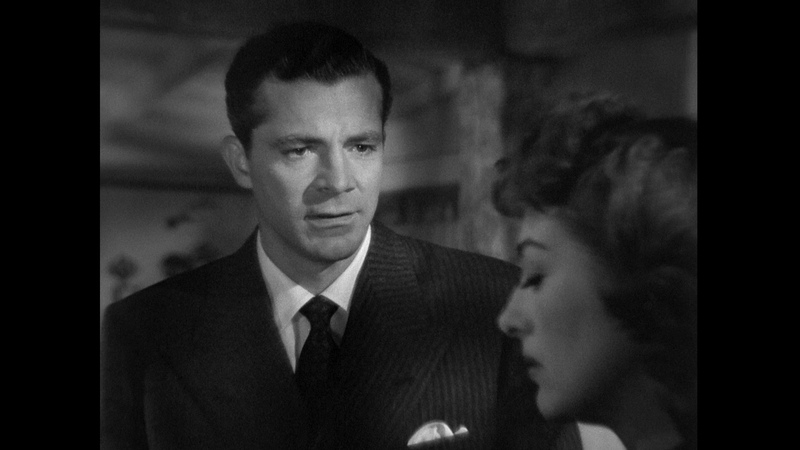 We are given the same extras as the 2008 DVD - an expert commentary by Foster Hirsch (author of The Dark Side of the Screen: Film Noir and Detours and Lost Highways: A Map of Neo-Noir) who discusses a lot of Preminger, Dana Andrews and everyone involved in the film. 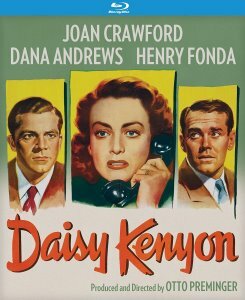 It really is a pleasure listening to such a knowledgeable person discuss Daisy Kenyon with such calm depth. 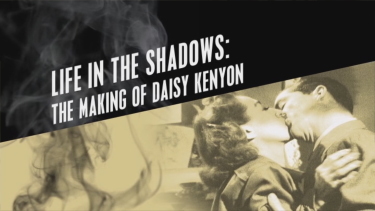 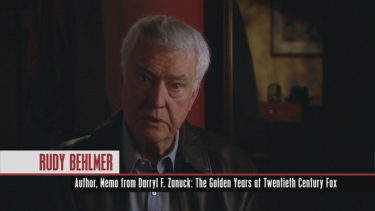 There is a 20 minute featurette entitled From Journeyman to Artists: Otto Preminger at Fox with more good conversation and another 16 minute documentary - Life in the Shadows - the Making of Daisy Kenyon. 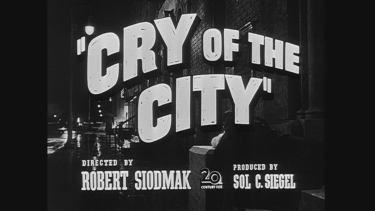 We lose the interactive pressbook found on the DVD, but keep the stills gallery and Kino add trailers for Cry of the City, Boomerang , I Wake Up Screaming, He Ran All the Way, and Daisy Kenyon. There is some Noir affectations here - but not enough to make our "Essential List". 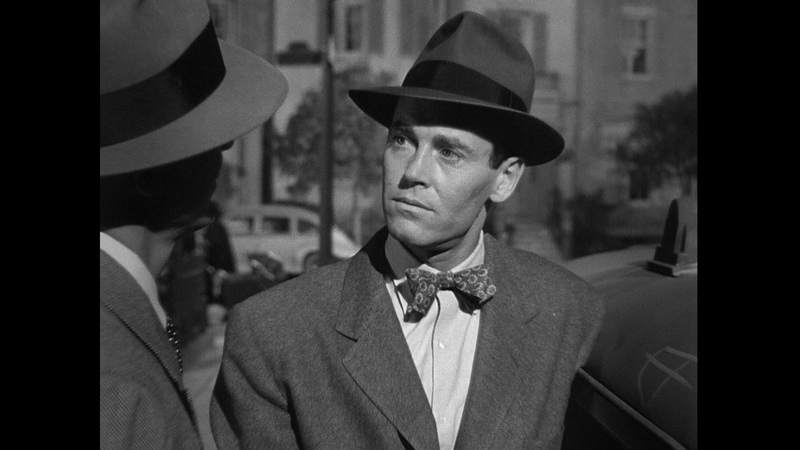 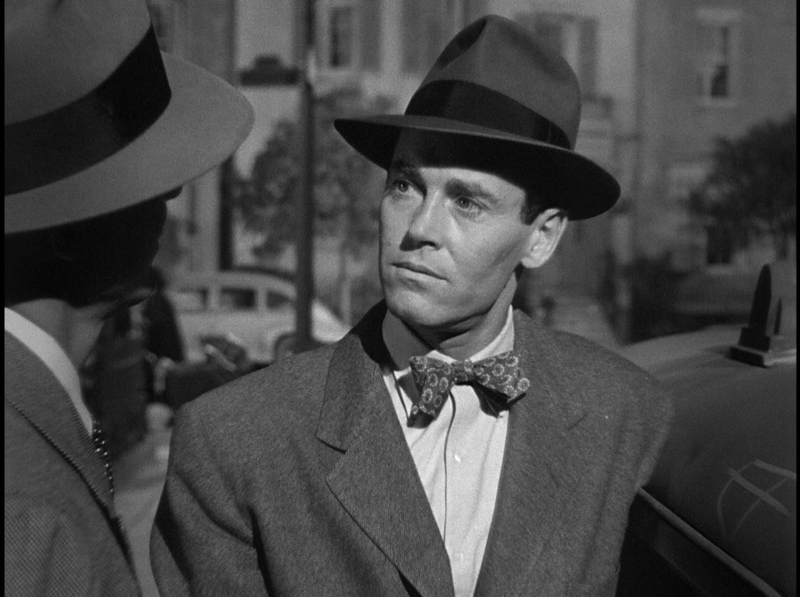 Many may debate it's recognition as a Noir at all. 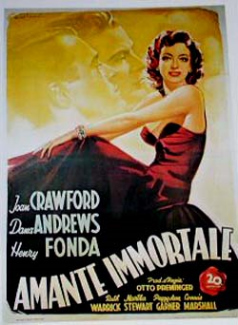 It's certainly more of a dramatic romance with some great performances. 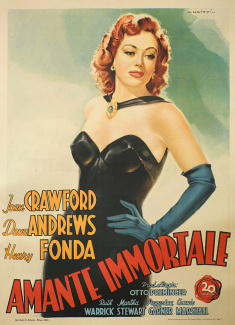 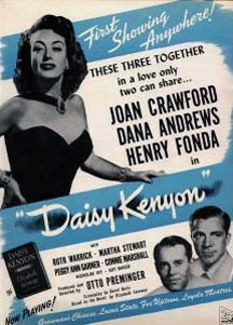 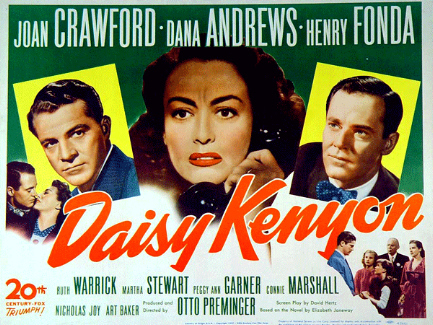 Uniquely, Crawford can't eclipse her male co-stars in this film. 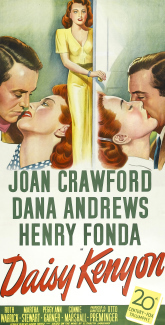 They are too strong. 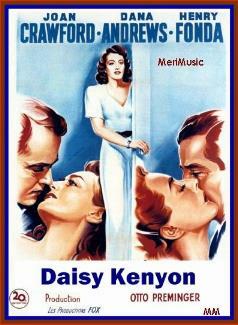 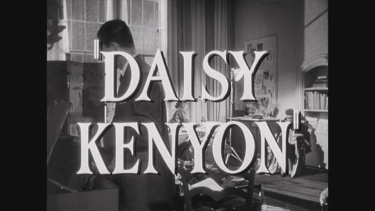 I like it but I have never loved Daisy Kenyon. 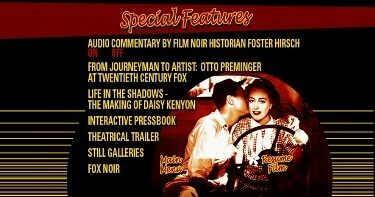 It's great to see so many of these Fox vintage film come to 1080P. 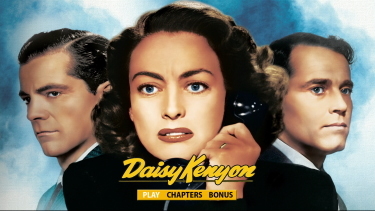 ON THE DVD: Of the three latest Fox Film Noirs (with Black Widow and Dangerous Crossing) Daisy Kenyon has the weakest image. 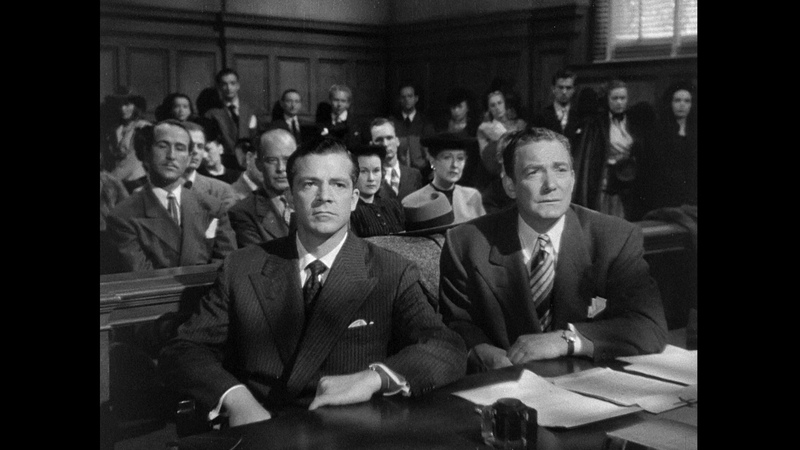 Now the film is older by a few years but regardless the detail is less than stellar and contrast is a bit muddier at times. Day lit sequences seem acceptable but low-lit scenes show some noise. 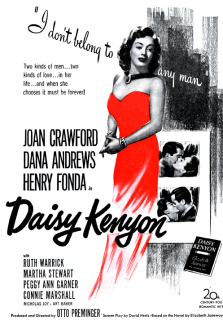 Overall, it is progressive and dual-layered - and it is certainly very watchable. 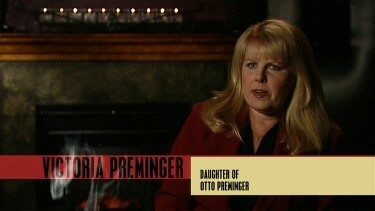 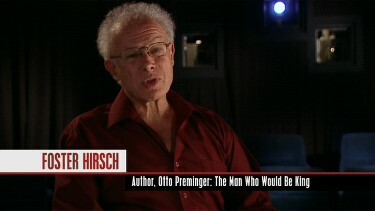 The screen grabs below should give you an idea of what to expect. 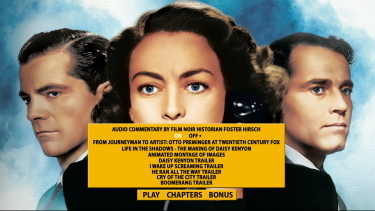 The mono audio is also imperfect but I have no specific 'pop' or 'hiss' instances to complain about. 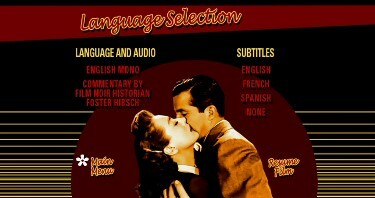 There are optional English, Spanish or French subtitles, in a yellow font, supporting the dialogue. 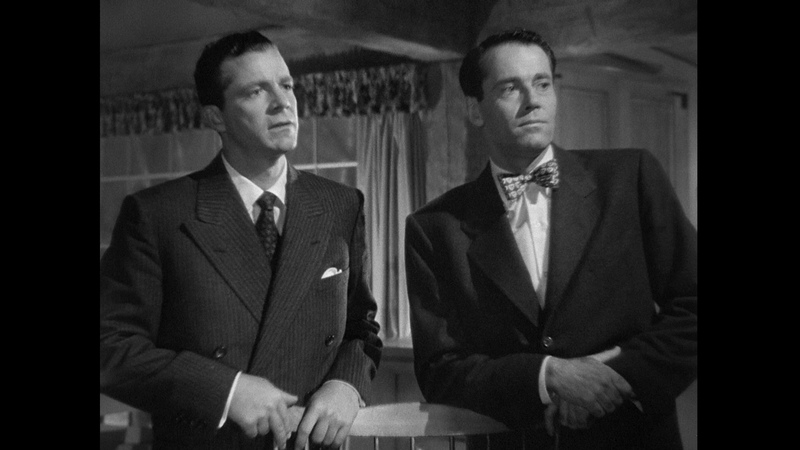 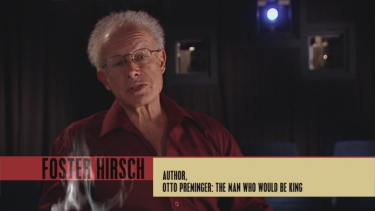 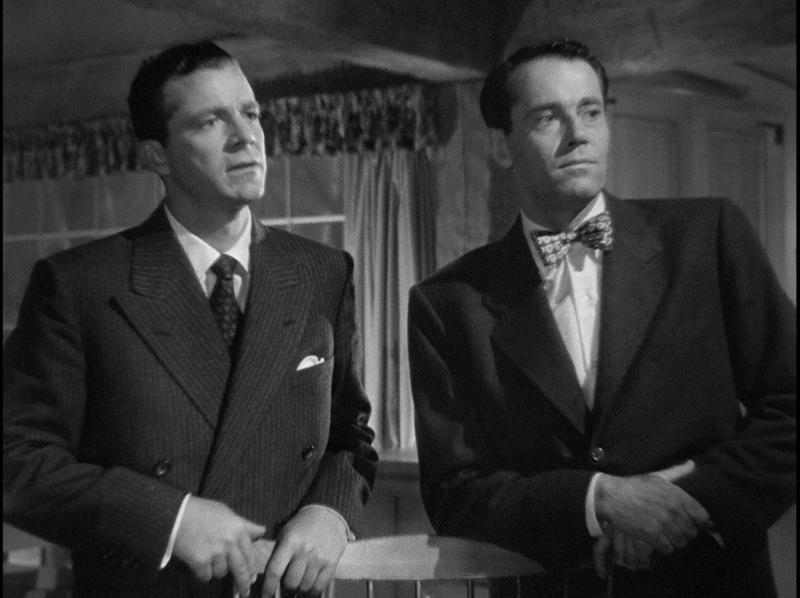 We are given an expert commentary by Foster Hirsch (author of The Dark Side of the Screen: Film Noir and Detours and Lost Highways: A Map of Neo-Noir) who discusses a lot of Preminger, Dana Andrews and everyone involved in the film. 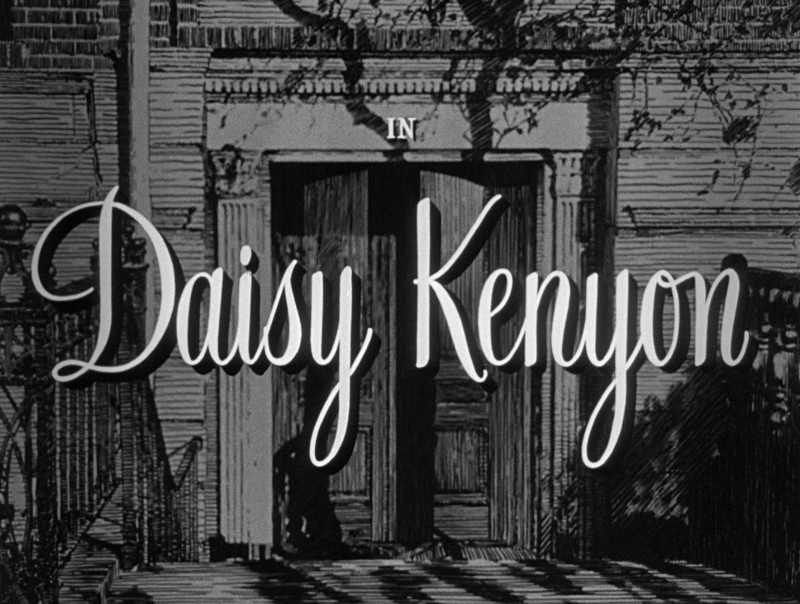 It really is a pleasure listening to such a knowledgeable person discuss Daisy Kenyon with such calm depth. 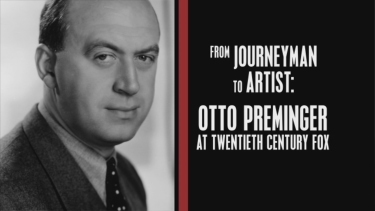 There is a 20 minute featurette entitled From Journeyman to Artists: Otto Preminger at Fox with more good conversation and another 16 minute documentary - Life in the Shadows - the Making of Daisy Kenyon. 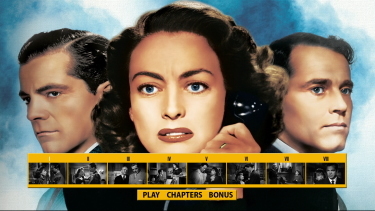 There is an interactive pressbook, and a stills gallery and the original theatrical trailer (No isolated score as in the other two Noirs). 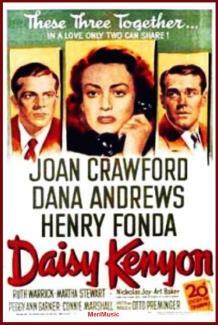 Great film - great performances and another total gem of a Noir DVD. 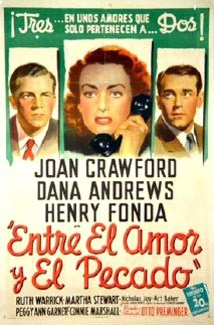 No one does them better than Fox!